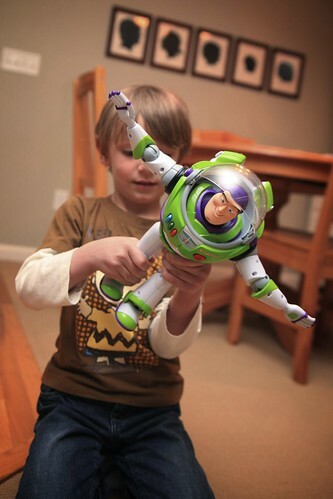 Buzz Lightyear to the Rescue! – 365, 45, originally uploaded by Fluttering By. Darn that Toy Story 3! The toys make Thomas so happy. « Back in our element.